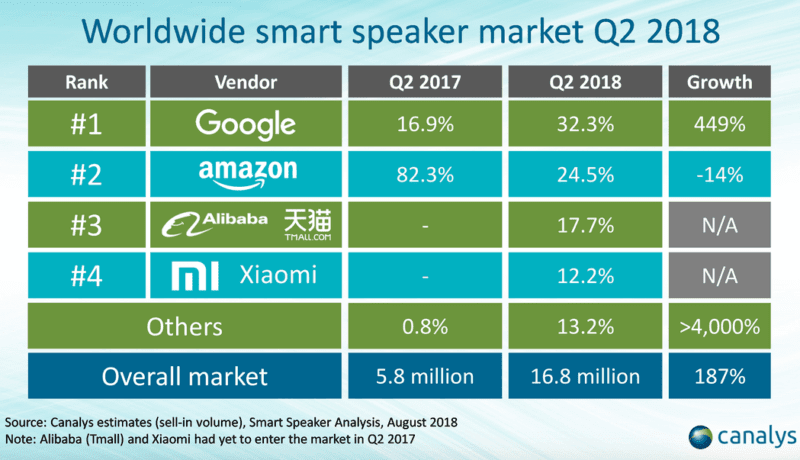 Earlier this week, Strategy Analytics released its Q2 global smart speaker shipments report. The data showed Amazon still as the global market leader, but with Google gaining, followed by Alibaba, Apple, JD.com and others. That report said there had been just under 12 million units shipped in the quarter and that Amazon maintained a 41 percent share of shipments in Q2 compared with Google’s just under 28 percent. Others collectively made up the remaining 33 percent of Q2 global device shipments. New estimates from Canalys show something very different. That firm reported nearly 17 million devices shipped globally in the second quarter. That’s a major difference of about 5 million units. 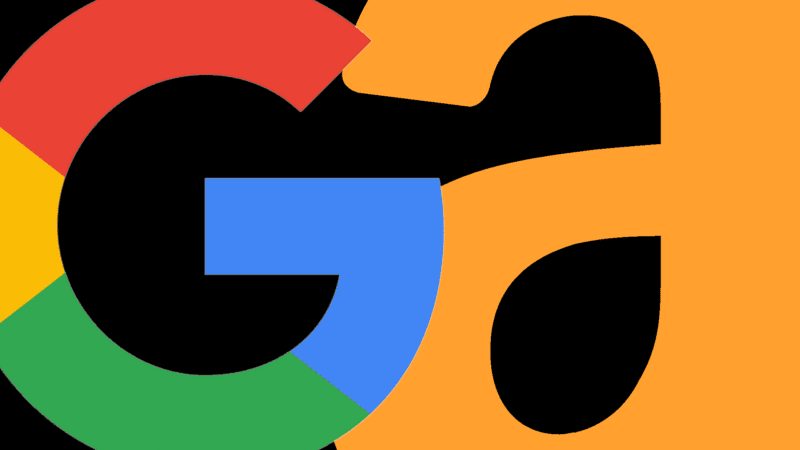 It also showed Google as the leader, with a 32 percent share to Amazon’s roughly 25 percent. The two reports agree that Google has gained momentum at Amazon’s expense, especially outside the US, but the Canalys data paints a very different picture than does Strategy Analytics. Quarterly shipments are not the same as overall market share, but Canalys announces Google as the Q2 market leader, while Strategy Analytics argues that Amazon is still dominant. Analyst firms have different models and methodologies to generate these estimates and reports. Some are more rigorous, some are sloppy or rely on a too-limited data sample. It’s still surprising how different these numbers are. If they reflect some underlying reality, they should be generally consistent, if maybe off a few points from one another. But they’re not even directionally lined up. In one case, Amazon remains ahead by roughly 13 points, but in another, Google has eclipsed Amazon to become the market leader. What this affirms is that all these third-party projections and estimates, which are often as much about PR as anything else, must be viewed with caution. The post Who’s really winning the smart speaker market, Amazon or Google? appeared first on Marketing Land.